Four-door coupes defy convention. They’re very much here, though, and judging by the growth in their popularity, they’re here to stay. And I’m glad because this segment has given birth to some truly gorgeous cars such as the one you see here. The Audi A5 is for those who think the conventional sedans don’t have enough oomph. 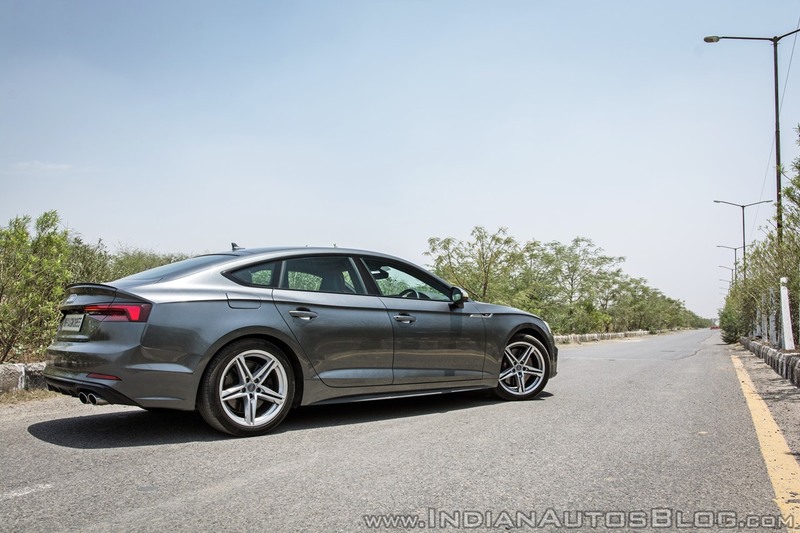 The regular A5 comes with a rather practical 2.0 L TDI diesel engine and front wheel drive. For those who want the same amount of show, but a bit more go, there’s the Audi S5. Audi has been, at times, accused of not being adventurous enough with the design of its cars. That may be true, but that same philosophy has worked rather well in case of the S5. 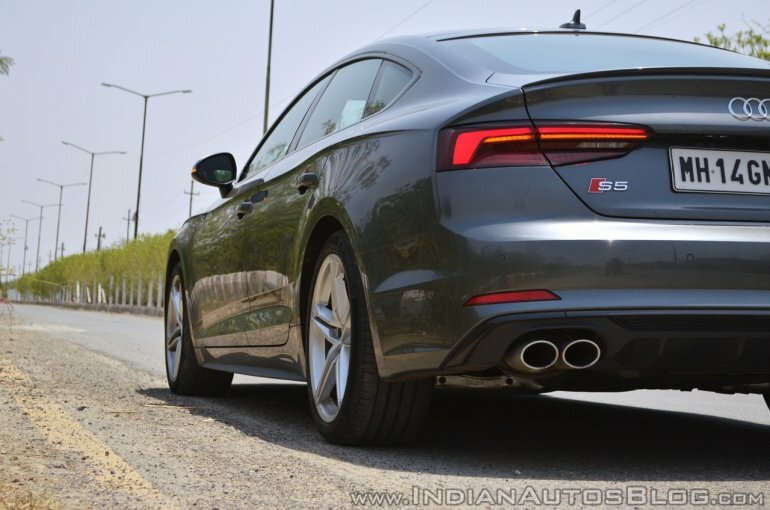 The wide, low-set nose coupled with the coupe-like profile ensures the Audi S5 turns heads wherever it goes. Lights up front and at the rear are full LED units. The diffuser integrated into the rear bumper and quad exhaust pipes highlight the car’s sporty intentions and also help differentiate it from the tamer Audi A5. The test car Audi sent came with the Audi exclusive black styling package, which replaces the chrome on the grille and around the DLO and the silver finish elements on the front and rear bumpers with a gloss black finish. While Audi offers 11 exterior colour options, there’s just one alloy wheel design to choose from - 5-twin-spoke star design 18 inch. I wish they had a few more on offer. 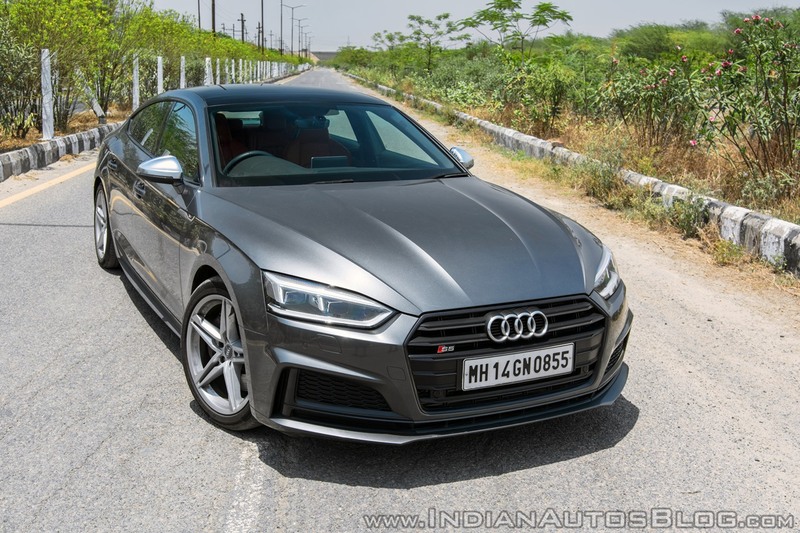 Like I said, the Audi S5 is a beautiful car and I, for one, believe that it can get customers to sign off that hefty cheque based on its appearance alone. 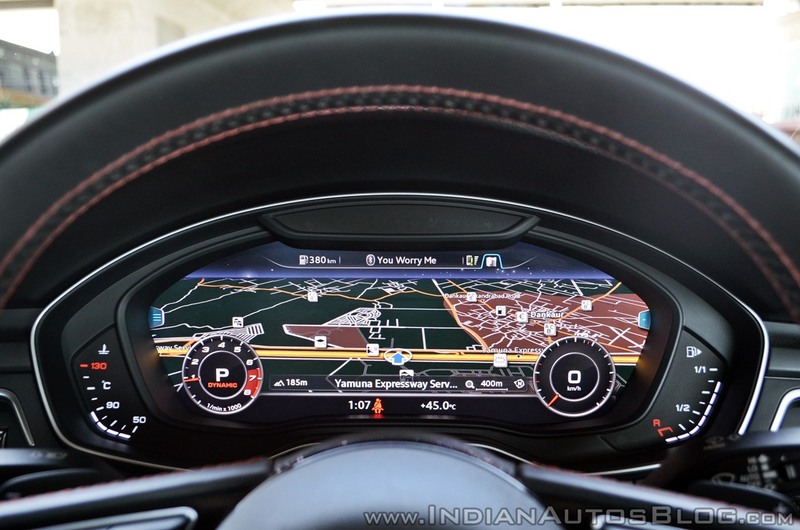 The dashboard layout is typical Audi affair with a vent-like element running along its length. There’s a floating display for the infotainment setup and Audi’s signature virtual cockpit present. Keeping in line with the sporty nature of the S5, the colour scheme is dominated by black with a choice of Carbon Twill, Carbon Atlas, or Brushed Aluminium inlays. The one I drove came specced with S Sports seats draped in Magma Red upholstery. For some strange reason, Audi doesn’t offer the S5 with a flat-bottom steering wheel even as an option. I say strange because the A5 Cabriolet comes with one. Anyway, that isn’t really a deal breaker but would have suited the S5 better. The rear seat space is fairly sufficient for two averaged sized Indian adults. You can squeeze in a third person, but you’ll be better off without one. The 480 L boot can swallow a decent amount of luggage too. Features wise, you get everything you expect from a luxury car including a 19-speaker Bang & Olufsen audio setup, support for Apple CarPlay and Android Auto, 3-zone climate control, massage seats, panoramic sunroof, electric shut tailgate, and more. Under the hood lies a 3.0 L turbocharged V6 that develops 354 hp at 5400-6400 rpm and 500 Nm at 1370-4500 rpm. It couple with an 8-speed Tiptronic gearbox sending power to all four wheels via Audi’s Quattro AWD setup. 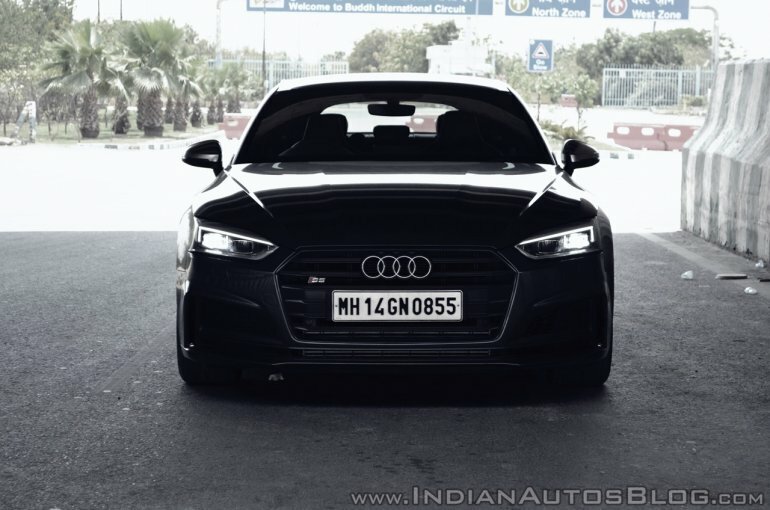 The Audi S5 can crack the tonne in under 5 seconds, 4.7 seconds to be precise, and will go on to hit 250 km/h. Audi’s Drive Select will let you choose from a bunch of preset driving modes or let you alter each setting individually with the ‘Individual’ mode engaged. The few hours I spent driving the Audi S5 had me grinning ear to ear and desperately yearning for more. Of course, it isn’t as mad as the Audi RS5 probably is, but it still gathers speed rather quickly without breaking into a sweat. There isn’t any noticeable lag present and the 8-speed transmission does a commendable job of shifting through the gears quickly. Oh, and the Audi S5 is a sweet sounding machine with the quad pipes serving up a tasty exhaust note. 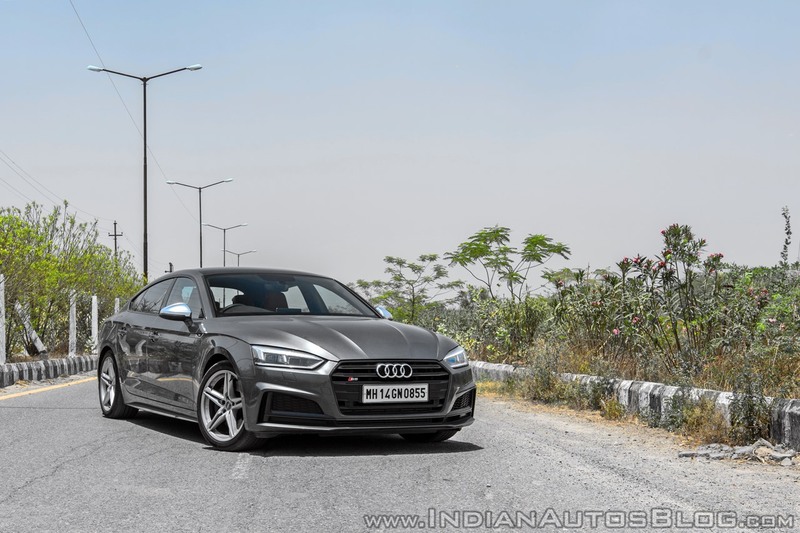 Its handling is sharp and although products from some of Audi’s rival brands have more communicative steering setups, the one in the Audi S5 does in no way detract from the fun. Onboard electronics and Quattro AWD will help even the unskilled push the S5 hard. Despite the cars sporty credentials, the ride, quite remarkably, is comfortable thanks to the S-specific damper control. The firmness you would generally expect from such a product is not there and that is truly impressive. It also means that the Audi S5 can be used just as well as a daily driver. 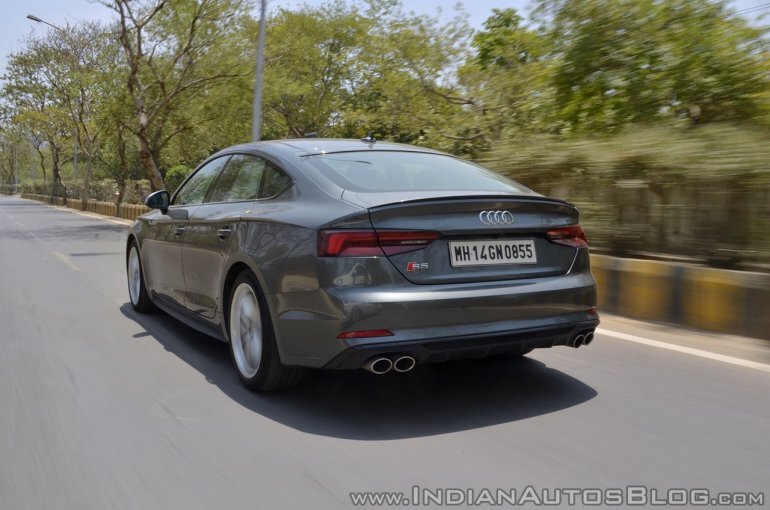 The Audi S5 retails for around INR 72 lakhs (ex-showroom). There are quite a few options at this price point, but if you are considering buying the S5, then chances are you’re not going into the selection process with a very practical approach. Keeping that in mind, the only real rival according to me is the Mercedes-AMG C43. 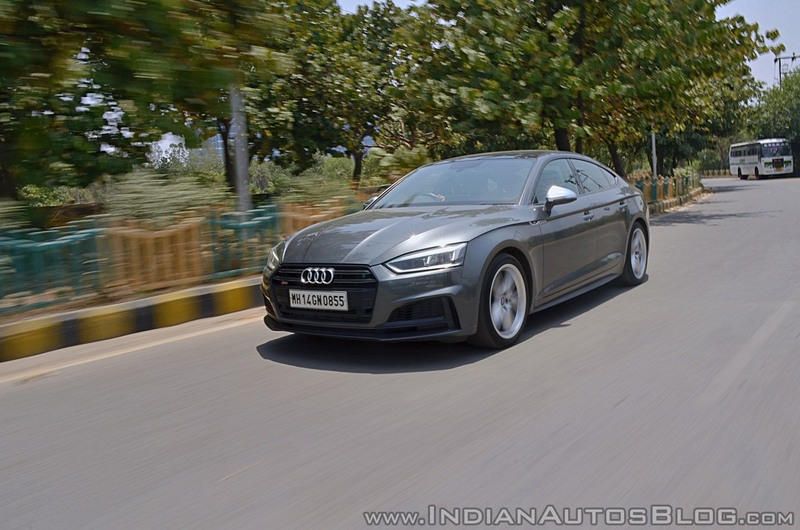 What works in Audi’s favour is it is much more flashy in terms of appearance and will not be mistaken for a four-door sedan. But if flashy is all you are looking for then why not save 17 odd lakhs and just go for the A5 instead? Well, because the S5 offers a more rewarding driving experience. It’s quicker and, for what its worth, sounds much better. If you want head-turning looks and performance to match, then the Audi S5 makes a lot of sense. Audi India's A5 range also includes the A5 Sportback (INR 55,40,000), A5 Cabriolet (INR 69,24,000), and the RS 5 Coupe (INR 1,10,65,000). Audi's performance oriented lineup also includes the Audi RS6 Avant, Audi RS7 Sportback, RS7 Sportback Performance, Audi TT, and the Audi R8.